Linten theme hasn’t been updated in over 2 years. It may no longer be maintained or supported and may have compatibility issues when used with more recent versions of WordPress. 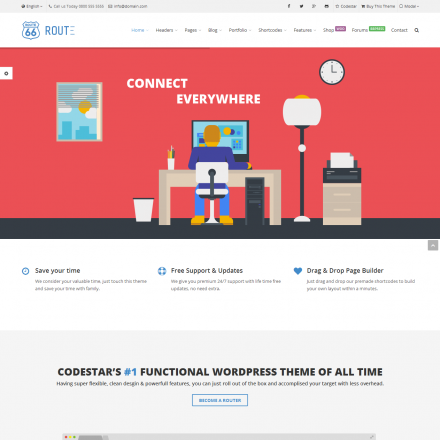 New themes are always being added, so visit the homepage to see what’s new. 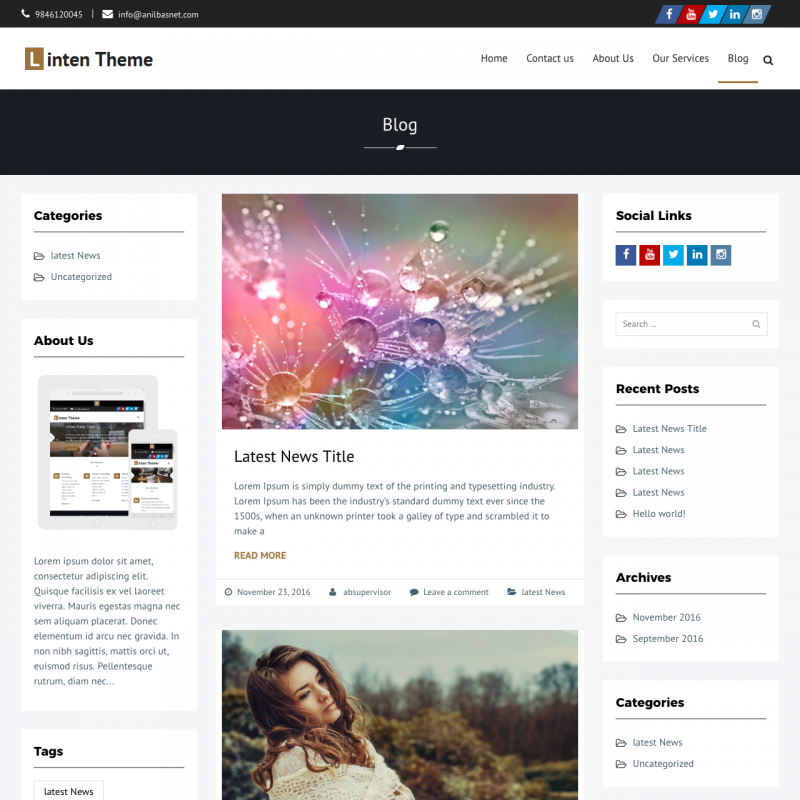 Linten theme translations are maintained by the WordPress community. 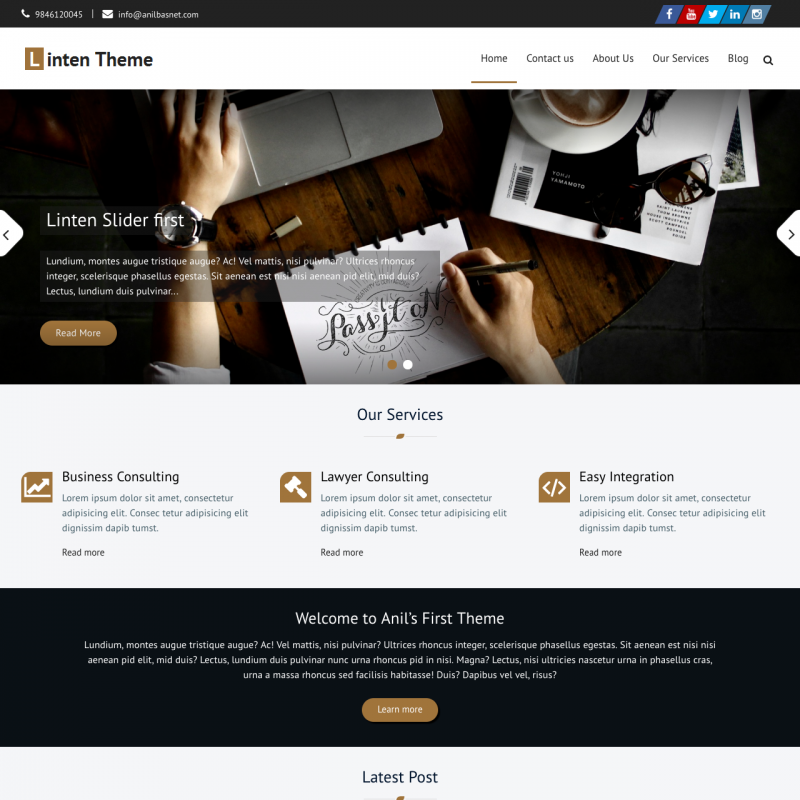 Linten is a simple WordPress theme for business sites with the slider, widgetized homepage and the option for a quick contact in the header. 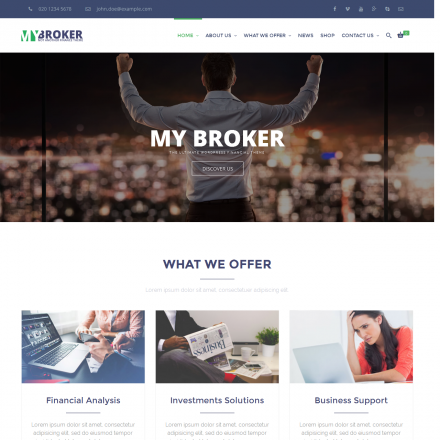 For blog pages there are two sidebars on both sides of the main content.